Events over the last couple of weeks in Baltimore have gotten extremely volatile with the suspicious circumstances surrounding Freddie Gray. What we know is that there is a massive race issue begging to be looked at in the USA, especially when it comes to the approach the police have towards the African-American community. The protests that have ended in rioting and a state of emergency officially being declared are slowly dwindling as calm is being restored in the city, and I’d like to take a moment to speak to the community I was welcomed into at M·Power Yoga exactly one month ago. 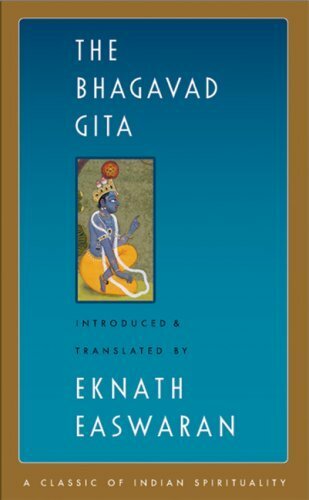 We did some serious personal digging last month going through the Bhagavad Gita, The Yoga Sutras of Patanjali, the Astavakra Gita, Hindu & Yogic Mythology and meditation techniques and approaches. There were underlying concepts and insights to all the work that we did together that spoke to our individual and personal challenges and struggles. We discussed the need for every single on of us to begin the healing process using practical tools that can bring us closer to shifting from being cemented in the human experience to spending some time in the spiritual and energetic aspects of who we are and why we’re here. We also discussed how stories of battle and war, like in the Bhagavad Gita, are representative of the battles that are waged in every single one of our minds every single day, and that the tools that Krishna offers Arjuna in the book are the tools that we are meant to use to find our own way through life with peace and light, respecting universal laws and concepts. There are some very fresh wounds in your city with the events of the past couple of weeks. 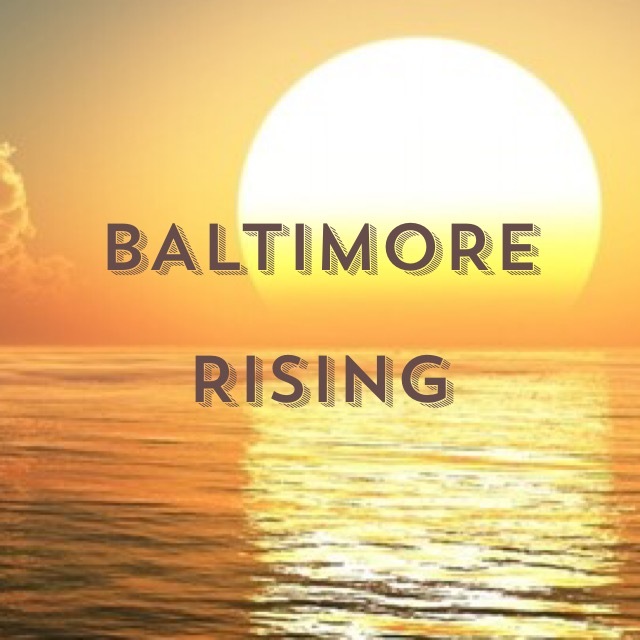 There is collective healing that needs to happen in Baltimore. It pains me to see this occur in a city that was so welcoming and inspirational with its “phoenix-from-the-flames” resurgence I was witness to. And as I remind others of whenever life seems to dip closer to the darkness and further away from the light, our responsibility in moments like these is to rise up and meet the darkness with equal doses of light. We do this by practicing the universal laws of love and mercy: placing the welfare, concern and love for others above the love of the self AND forgiving the errors of others. This may seem impossible to do given the suspicious circumstances surrounding Freddie’s injuries that led to his death, but for the sake of your city, for the love of Baltimore, just do it. Healing will not take place right now with the vibration of chaos that has been stirred up. With peace one has clarity and perspective, the two essential building blocks needed to build a sold structure of community and unity. You at M·Power now have your work brought to your doorstep. It is yours specifically to do, on a scale you probably never thought you’d be exposed to. You have been presented with a massive opportunity to put into practice what we have theoretically gone over. Ask how the events have affected you and how you have experienced thoughts and sensations of protest, anger, rage, chaos and violence in your own life up to this point. Ask how you can be a vessel for light and how you can help heal this tears in your community. Go out into your city and do your work. Your students need you. Your city needs you. Be a part of the enlightenment that is inevitable following dark passages like this one. Go our there and light up the night with what you know to be true, and do it for whatever you believe in: peace, community, love, unity, your personal dharma. Dedicate your efforts to something bigger than you. It’s your time. For you and for Baltimore. I’m sending you energy and whatever else you need…I may be back home, but I’m with you. Have no doubt about it. 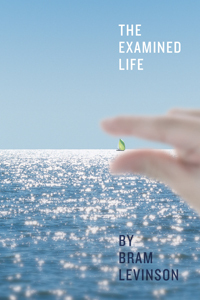 I have been intermittently traveling for over a year now to bring my teaching, workshops and book (www.theexaminedlifebook.com) all over the country and the world, so when a student asked me when I would be giving workshops in Montreal, I realized that by bringing my gig all over the globe, I was essentially ignoring my home town. The workshops I typically give in Montreal are either associated to teacher training programs or festivals, available exclusively to those who have enrolled in whatever event I’m on the faculty of. And so I began thinking about creating a full weekend of workshops available to everyone and anyone, here in Montreal. And once I started thinking about it, as one would expect, more and more students started approaching me asking me for exactly what I had started planning. The dates are now set, the location is cemented and I have begun putting together the entire weekend. Most of the subject matter is information I’ve been working with over the last few years on a regular basis, but I have never been bold enough to bring it all together into one cohesive and cathartic weekend…until now. The weekend will start off Friday evening with Intro to iRest® Yoga Nidra and will kick the weekend off with basic spiritual teachings as well as the opportunity to simply be with whatever is for each and every participant. The basic outline of this inquisitive and informative modality will be presented along with worksheets for participants to get down in black and white what their experience is. We will examine everything from intention to emotions to core beliefs, and we’ll do it from a place of pure witnessing, where nothing needs to be judged, changed, suppressed or aggressively expressed. A 30-35 minute practice will follow, and we will finish up this introductory module with conversation and observations from everyone wanting to share. Saturday afternoon will kick off with a module I’ve long wanted to present but wanted to wait until I felt I had the necessary tools to do so – Shedding Fear, Insecurity and Anxiety Through Yoga, Meditation and Spirituality. 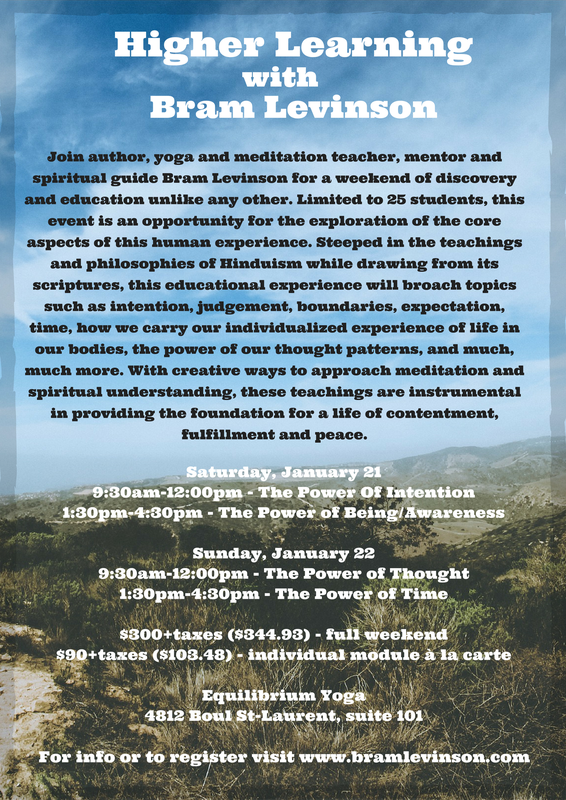 This incredibly informative and helpful module will carry over from the iRest® module from the previous evening with concepts such as limiting beliefs, mindfulness and intention, while drawing from ancient yogic texts like the Bhagavad Gita and Patanjali’s Yoga Sutras (allowing us to transition into the workshop that will follow this module). Exercises setting intention as well as mindfulness meditation will be included, and participants will leave with very real, helpful tools to make their way forwards through life with clarity, strength and an accurate and inspired sense of Self. This module will also include a 45-minute asana class incorporating specific postures that assist in the shedding of all that weighs us down so we can move closer to personal and collective freedom. Saturday will end with The Practical Application of Patanjali’s Yoga Sutras. This is a module that offers insight into how to realistically apply the ancient teachings of Ashtanga Yoga to a modern world where energy and unity are disregarded in place of the appearance of things and attention to the temporary and superficial. This segment of the weekend delves into how even after thousands of years, teachings that could easily be brushed off as archaic are actually more relevant and useful than ever, all of which bring us closer to dis-identifying with pain and suffering and give us real tools to prioritize direction and peace in our own lives. The only morning module (and the only posture-focused module) for this weekend takes place late Sunday morning with Activating The Core Body in Asana, an opportunity to lead students through a flow of yoga postures incorporating the basic principles of core strength and stability. We will look at what the core of the body actually is from an anatomical perspective and how engaging the core helps avoid injury, increase stability, strength and balance and play a part in our long-term health and posture. A short lecture/introduction will be followed by the class where we will take time to break down postures and apply what we’re learning to deepen the asanas and the practice. 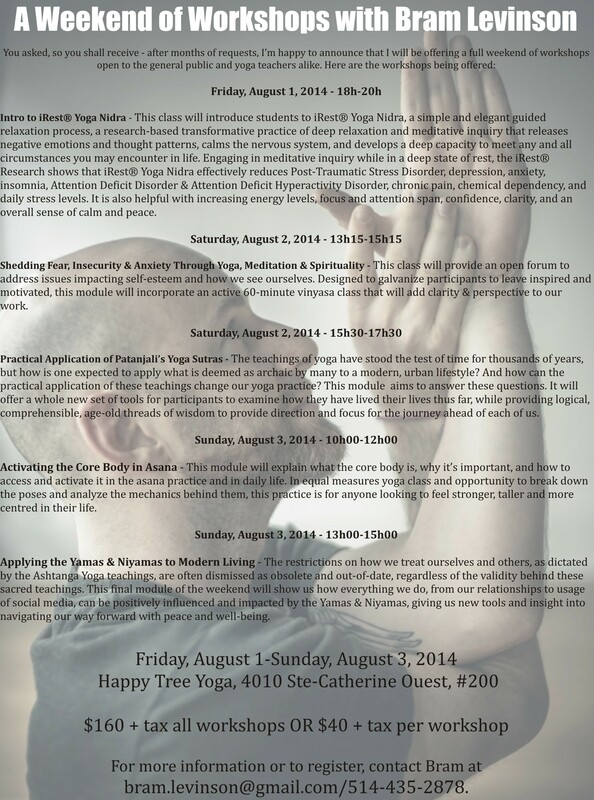 To end our weekend together, we will explore Applying the Yamas & Niyamas to Modern Living. Picking up where we left off Saturday afternoon with the Sutras, we will explore the restrictions on how we treat others and ourselves in a modern-day context. We will look at how our words, actions, and existences in real life and through social media often completely disregard these guidelines on ensuring a peaceful existence, and we’ll delve into how adherence to them changes the energy we emanate in a simple and immediate way. In just revising my notes and adding to what I want to communicate over the course of these 5 workshops, I feel a real energy growing. I’m SO excited to bring all this information to everyone, and really grateful to the students for pointing out to me that I was essentially forgetting to bring the teachings to the same community that has and continues to elevate me to a place where I’m being heard. I have reserved the studio space at Happy Tree Yoga (4010 Ste-Catherine St. West, suite 200) for this weekend of information, exploration, intention and manifestation, and registration for the event is in full swing already. 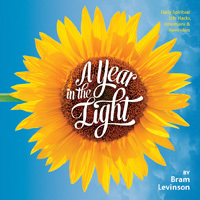 For more information or to register for any or all of the workshops, visit my webpage at bramlevinson.com/news.htm. I really hope to see you there for this weekend of delving into more profound levels of spirituality, insight and personal development. We’ll be doing work and exchanging ideas that really, truly matter through conversation, exercises and worksheets, and of course, movement, breath and intention. Bring your yoga mat, notebook, pens or pencils and an inquisitive mind, and be prepared to expand what you believe to be true about yourself, the world around you, and what your place is in that world.